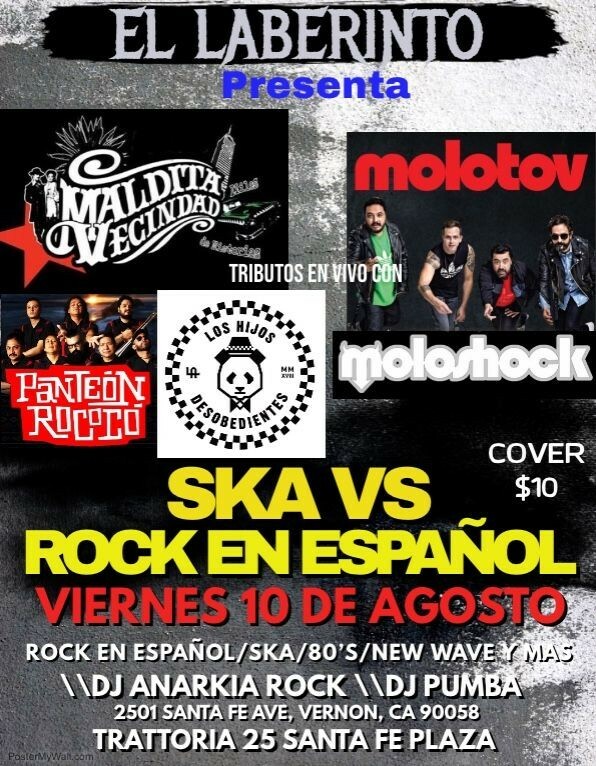 Ska \\ Rock en Español \\ PANTEÓN ROCOCO \\ MALDITA VECINDAD AND MOLOTOV live tributes!! Also Djs spinning the best music, Spanish Rock, New wave, 80’s and more!! All in one place, music and live bands! !